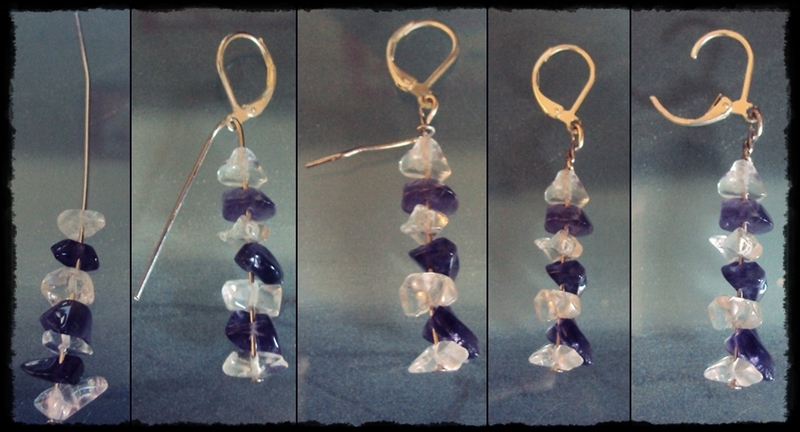 Thanks to Another Kay Jones for inspiring this project. 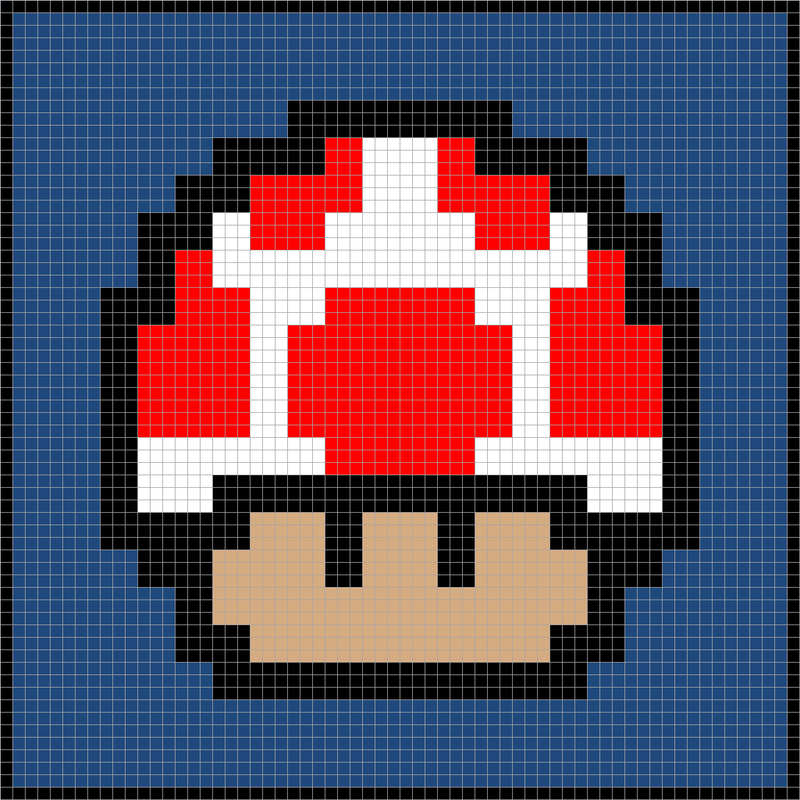 I had already made my son a Mario blanket and thought this will go great with it. Plus I let my son pick out the characters he wanted, so he's going to love it when it's done. 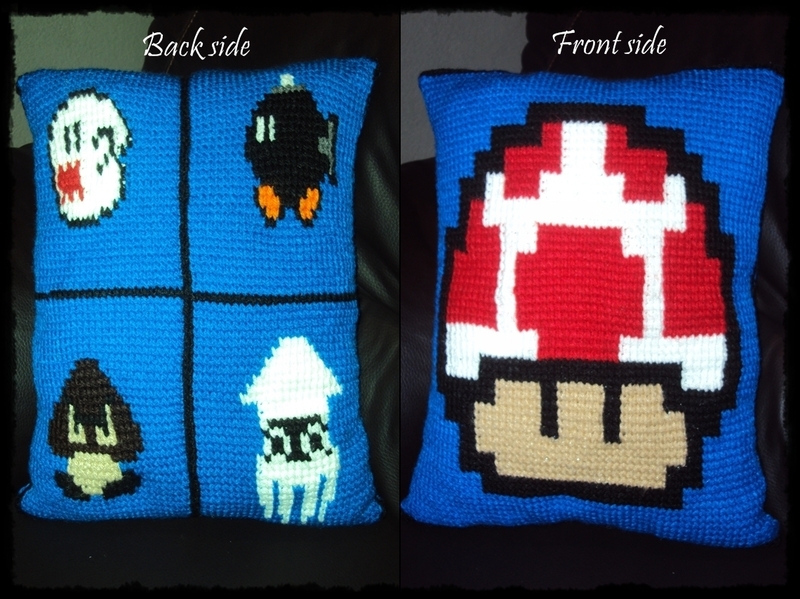 :) I'm going to be making him another pillow but with different Mario characters so he can have two. I made the charts on Microsoft Excel except for Goomba, I copied that one from Another Kay Jones and the others from doing a Google search and making them into 8-bit graphs. If you want to use different characters, there are plenty to be found on the web by searching for 8-bit Mario characters or anything along those lines. When working from these graphs you gotta keep in mind that one square equals one stitch, the amount of stitches you need on your hook needs to be one more than the amount of squares you need. Ex: On the small graphs theirs 32 so I need to chain 33 stitches. Since I don’t know how to add Microsoft Excel files on here, I have just put the images up. If you would like me to e-mail you the Excel files, feel free to contact me. (Links on how to contact me are on the upper left hand side). To save on sewing (which I’m not great at), I made the character squares two at a time, so I crocheted the Goomba and Boo as one piece, with the color change half way, then I did the Blooper and Bomb-Omb as one piece. Then whip stitch the two pieces together. I use whip stitch when sewing the whole pillow together. -An Introduction to Tunisian Crochet; it has images to show you how to while your reading. Great site, this is the one I use to learn. -If your more of a video person rather than reading then this video is great for you. -To bind off your work watch this video. -For color changes watch this video. 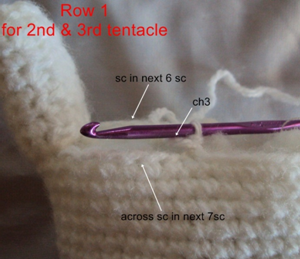 -On the basics tutorial video, it says for the last stitch of the forward pass, put the hook through the two end stitches. Cause if you don't and when its time to sew them together the edges are gonna look holey. Just in case this happens to you. Simply use the same color thread and sew it so it wont look so obvious. -Measure! Measure! Measure! You don't want your square to look uneven. These stitch markers are a fun alternative to plain old stitch markers. They are a fun project to add some fun to your project or as a gift for a crocheter/knitter you know. 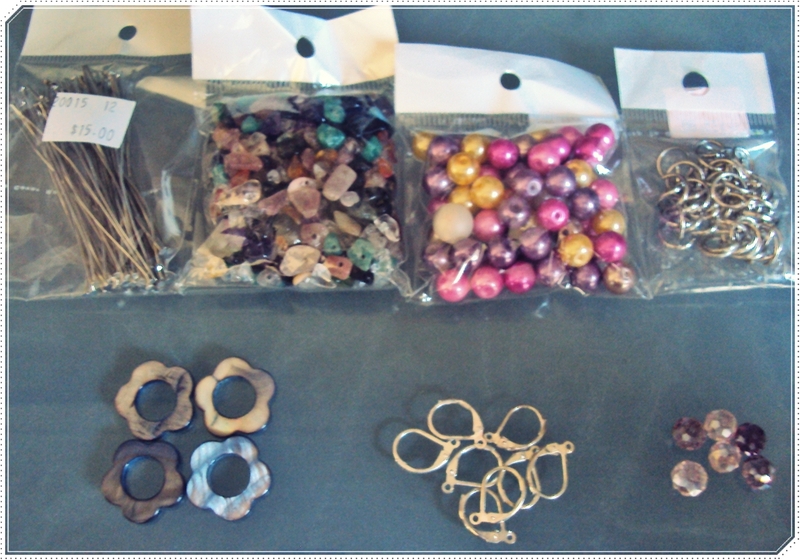 Like jewelry for your crocheting/knitting! =) Plus this isn’t too difficult or time consuming. I went to this store where they sell only beads and all the accessories needed to make bracelets, necklaces, earrings, keychains, etc. I have past by this store several times before when I gone to ModaTelas (where I buy yarn) but never when in. Today I check it out and WOW! they have a HUGE selection of beads. 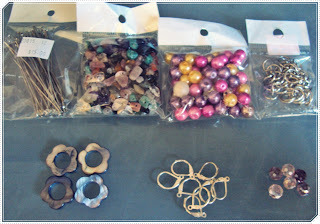 While I was browsing, I decide to buy some materials to make stitch markers. My son loves Mario and I wanted to make this HUGE surprise for him. I talk about this blanket in my introduction post but I wanted to go into a little more detail about it. This was my 8th crochet project I made; the granny square Raccoon Mario blanket. It was inspired by this Mario bedspread I seen on Ravelry but it was the old Mario (the one from the very first game). Even though Russ McAllister did an amazing job, I wanted a different Mario image to work on. 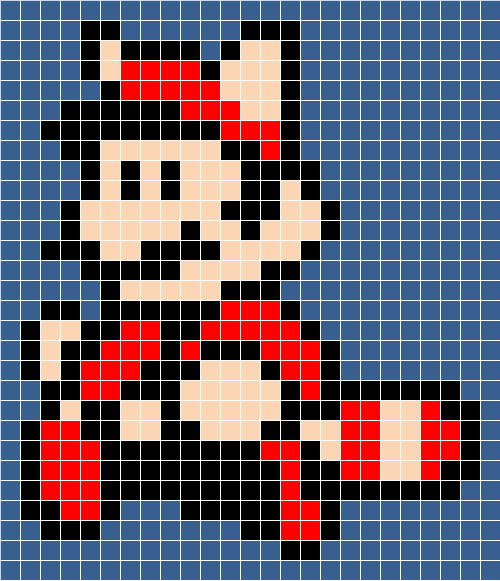 After searching for days I found an image of the raccoon Mario that I like better and started working on it. Row 72: Place the two ends together. We’re going to slip stitch the two ends together but on the back piece where going to slip stitch into the front loops only. Slit stitch all the way across. Image 1: Closing the two ends of the body together. Image 2: You want to sew the sides to the body with matching thread or use the whip stitch. (I use matching thread). At this point you will want to stuff the hand moderately firm. F/O, secure and weave in ends. No need to close the opening. F/O, secure and weave in ends. No need to close the opening. Fill completely with just beans. See picture for placement for arm/hand and feet. Eyes, mouth, tongue, teeth are constructed from felt. Sew them in place or glue them. I didn’t put no instructions on how to make the crease for the mouth or eyes cause your cutouts might be slightly bigger or smaller than mine. But basically all you need to do is chain several chains, measure your chains to see if it’s a perfect size if not add more or take some off some, then sc in each ch across just once and pin them in place and sew them with matching thread. With black yarn, chain stitch stripes on Whomp’s back. You can either make it look like mine or you can change it up a little. Then you want place the band aids (constructed from yellow felt) in a X shape. You can either sew them or glue them in place. Whomp and Mario Brothers are copyright Nintendo. This pattern is an original pattern by Janet Carrillo "JC Designs" (August 2011). Please do not claim this pattern as your own. If you wish to share this pattern, you may link to this pattern but please do not reprint/repost it on your site. You may print and keep a copy for your own personal use but you may not sell or distribute it, or sell items may from this pattern. Begin stuffing at this point if you haven't already. Stuff firmly while shaping as you go along. F/O, leave a tail for closing. Add any bits of stuffing needed to finish shaping the body nicely. Weave tail through the final row and draw up tight to close. Secure and weave in ends. Image 1: Decreasing over all 3 white stitches. Image 4: Putting together hair pieces. On one of the hair pieces. The top part only & back loops only. Rnd 2: Put together both of the hair piece and sl st on back loops only on top part and continue on to the side. F/O, weave in ends. Leave the bottom part open. sl st the other side. F/O, weave in ends. Stuff lightly. Image 5: How to form the mouth. As I have show you in the previous pictures. Place fin on the back just like shown in image 2. Hair goes right on the middle of the top part. Align it right on the middle of the eyes. Eyes are constructed from felt. See pictures for guidance on how to get your eyes to look like. Mouth see image 5 for placement. The fins that go on the side of Cheep-Cheep, I sketch them out first before drawing them in the felt. Cheep-Cheep and Mario Brothers are copyright Nintendo. Labels: amigurumi, Cheep-Cheep, crochet, free pattern, Mario Bros. Begin stuffing at this point if you haven't already. Stuff firmly while shaping as you go along. Do not finish off. F/O, leave a tail for closing. Add any bits of stuffing needed to finish shaping the tentacle nicely. Weave tail through the final row and draw up tight to close. Secure and weave in ends. Begin in the next st after the 7th sc of the first tentacle. Begin stuffing at this point if you haven't already. Begin in the next st after the 6th sc of the second tentacle. 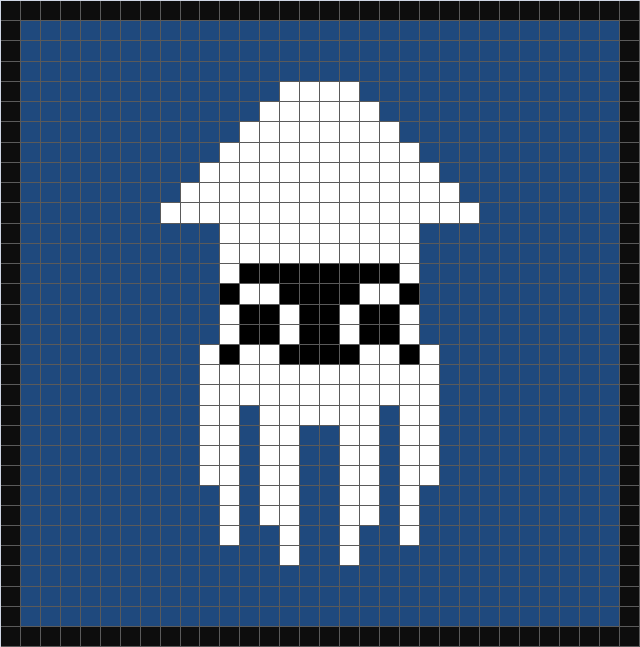 Begin in the next st after the 6th sc of the third tentacle. These tentacles are the ones that go on the side of the body. The only thing to pin and sew are the tentacles that go on the side. Blooper and Mario Brothers are copyright Nintendo. This pattern is an original pattern by Janet Carrillo "JC Designs" (July 2011). Please do not claim this pattern as your own. If you wish to share this pattern, you may link to this pattern but please do not reprint/repost it on your site. You may print and keep a copy for your own personal use but you may not sell or distribute it, or sell items may from this pattern. Labels: amigurumi, Blooper, crochet, free pattern, Mario Bros.
Stuff firmly while shaping as you go along. F/O weave in tail. Stuff lightly and shape. F/O weave in tail. Stuff lightly. In last sc change to Fuchsia. F/O fuchsia. Weave in ends. Rnd 9: Attach mango yarn to any of the 'free loops' inside of last round of stitches. F/O weave in ends. Stuff shoes/legs moderately firm. Nose is sewn a little lower from the centered of the face. Place cheeks on the side of the nose giving it a small little gap in between the nose and cheek. Remember to stuff lightly, to give it a little bump. Eyes are constructed from felt. Make the eyes oval shape in black with a small white circle on top. See pictures. Shoes/legs are sewn to the bottom of the body as shown in pictures. Experiment with the placement so that you can be sure you're happy with how the shoes/legs look. With a light orange felt make small circles and with a light brown make bigger circles than the light orange ones. I use big and small buttons to trace on the felt to get a perfect circle. Place them over the body as you please. Make a flower with white, yellow and green felt to be place on top of the head. See picture. A little tip I glue two pieces of white felt together to get the flower a little stiffer. Also did the same with the stem. Then I glue in on top of the face right on the center of the eyes and also sew it. Wiggler and Mario Brothers are copyright Nintendo. I want to start off by introducing myself. Hi, my name is Janet. I'm in my mid 20's. I was raised in San Diego, Ca. For the past 6 years I been living in Tijuana Baja California México. I grown to like living here. They're still things that bug me about Tijuana like the fact that people walk on the street when there's sidewalks. C'mon people use them. I been with my boyfriend for 6 years and we have an adorable little boy name Joshua Isaiah whose 4 yrs old. I been a stay at home wife/mom for years. At times it gets boring so I needed a hobby and I’m glad I learn to crochet. :) I taught myself to crochet by watching videos on YouTube by searching basics to crochet and reading online from different sites. It all started cause I had seen several young women wearing slouchy berets and I couldn’t find them anywhere to purchased one. So I thought to myself I’m a fast learner if I could only find a pattern online I can teach myself how to make it. So I did. :) Now, I love crocheting. I made myself a slouchy beret and 2 handbag. But what I enjoy the most is making stuff for my son. He's a huge Mario Bros. fan and I have made him a few amigurumis of the characters from the Mario series and a Raccoon Mario granny square blanket. After crocheting for 6 months, I was able to create my own amigurumi; Wiggler. I was so proud of myself. 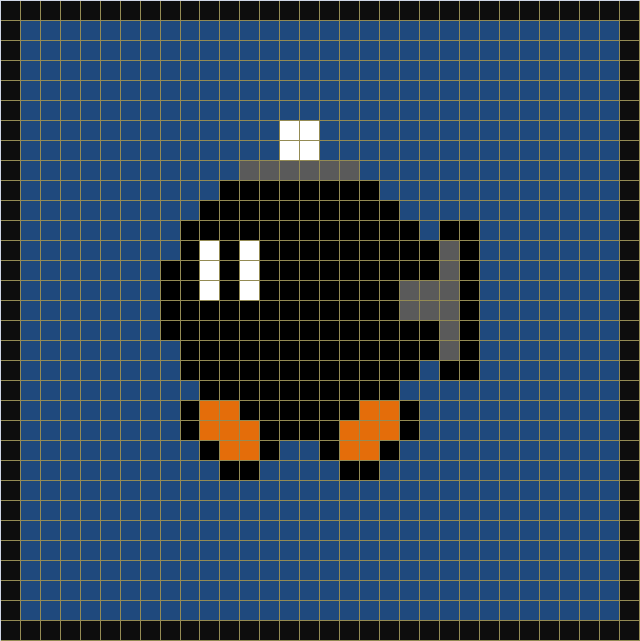 :) I have also design Cheep-Cheep, Blooper and Whomp amigurumis. All of my son's stuff that I have crocheted for him. All these amigurumis I got from various designers but 4 of those (Wiggler, Cheep-Cheep, Blooper and Whomp) are my own designs.